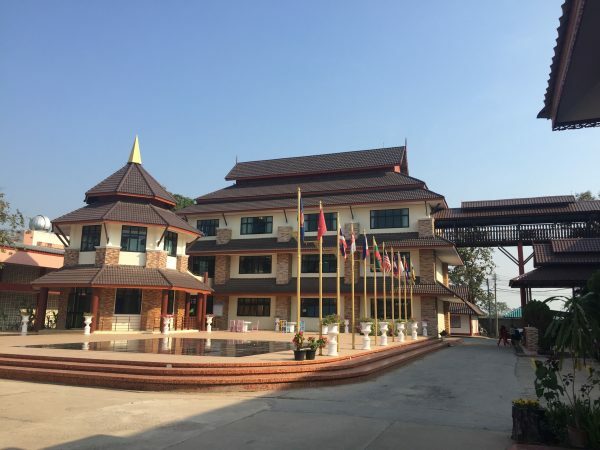 My town, Chiang Kham, is unique in the sense that it provides a real feeling of being off the beaten path while still providing you with the comforts of a larger town. Tourists rarely make their way into town but there is a TESCO, numerous banks, a plethora of dining options, markets and 4 schools that combined have 10-15 foreign ESL teachers working in them. I think the most interesting aspect of the town is its proximity to incredible national parks like Phu Lang Ka, Pu Chi Fah and Phu Sang. 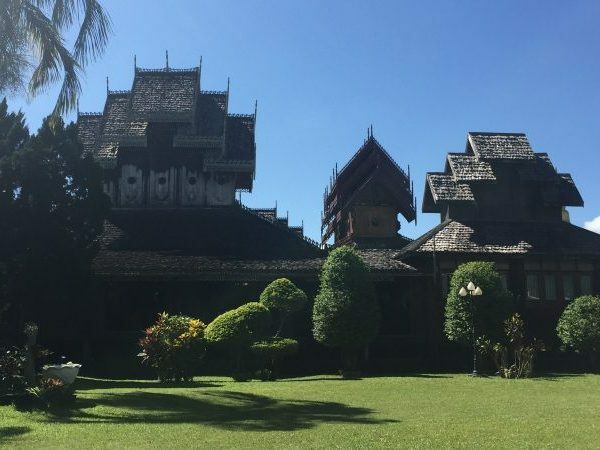 Phayao is a breathtakingly beautiful province and a quick drive out of downtown Chiang Kham shows you that. 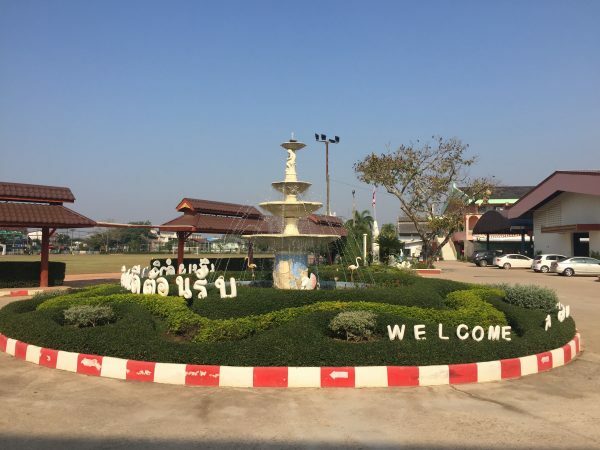 Additionally, Chiang Rai is only an hour and a half away while Chiang Mai is 4 by Green Bus. What are your favorite places to eat, drink, exercise, shop, etc. in your town? My favorite place to eat is by far Kaow & Great. My “landlord,” who has essentially become my host mom, owns it. Her restaurant is right outside the apartment complex and offers a large menu of traditional Thai foods as well as pizza. Mrs. Mo used to work for Pizza Hut and speaks better English than 90% of the Thai English teachers at my school. Sushi Jana next to Tesco is great and is owned by an M5 student’s family, although a little pricier. There are a million small restaurants all serving basic Thai for 30-40 baht and our happy to listen to my bungled Thai. Jay’s bar near Kaow & Great is the ideal hangout for foreign teachers. It is owned/run by a 24-year-old Thai guy who speaks great English. His friends come and hang out while he works and love to get to know you. Their English is of varying levels but they quickly bond over a beer and love to teach us Thai. Blacksmith’s is another great option for a more traditional bar/restaurant option. How do you get around? What are your transportation options? I ride a motorbike that I rent from a teacher at my school for 1,000 baht a month. Most other foreign teachers ride bicycles. Everything is accessible by bicycle although walking would be very difficult. There are songthaews but they are only by the bus station and don’t operate like in Hua Hin or Chiang Mai. Essentially, your options for daily travel are bicycle or motorbike. For long distance travel the bus station is the only choice. My accommodation is simple, sort of like a hotel room. It has full size bed, closet and armoire along with a mini fridge and TV. There is a small personal balcony where I keep my fridge. There is also an open style bathroom with a hot shower and great water pressure, although water pressure and hot water don’t often come together. It is very basic, the bed is rock hard, but the convenience of Kaow & Great, the location and the helpfulness of Mrs. Mo and her husband are unbeatable. What do you do in the evenings after work? I coach the school’s basketball team after school everyday and then play pickup basketball with the “Chiang Kham Basketball Club” until about 7 most nights. The play is surprisingly good and there is a consistent showing of 15-20 guys. 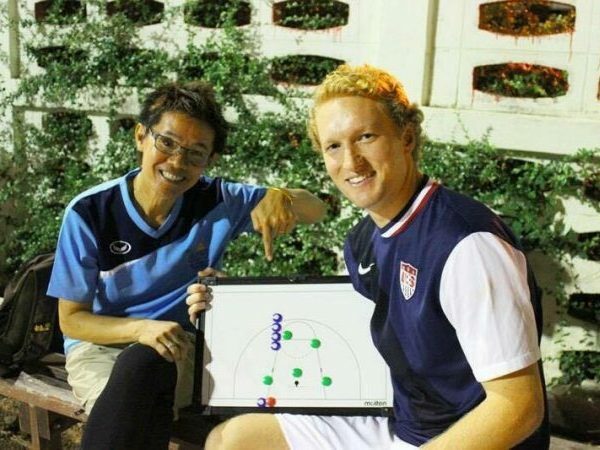 Before I found out about basketball I was a part of the “Chiang Kham football club” which is a group of 30 or so Thai men who play pick-up 7v7 soccer everyday until 8 pm. On the weekends they bring out coolers of beer and drink until 10 or so. Both the basketball and soccer clubs are extremely welcoming although the soccer men spoke minimal English. Stopping by isn’t a bad idea though because about 8 of the men are police officers who extended a “get out of jail free card” after the first night of drinking. I like to travel as much as possible on the weekends. Often to a local natural attraction or to Chiang Rai, Chiang Mai, etc. It is easy to get around. Staying in Chiang Kham can be fun as both the clubs I mentioned are active socially on Friday’s and Saturday’s but I sometimes feel the need to see a little more western civilization. What is the best nearby excursion or trip to take? Phu Sang waterfall is only 15 minutes away and quite beautiful with a nice national park around it. I would recommend learning a few tid bits of Thai so you can ask if a restaurant has a specific dish and to master the numbers. Also, be proactive in meeting people and getting involved in things you like. A smile and a tiny bit of Thai is a great introduction. At school, be ready for anything. Classes are cancelled without anyone telling you, half of a class won’t show up due to testing or a Thai teacher deciding students studying for their class is more important than students learning English with you. Roll with the punches and have fun. Finally, the power of a smile and a Wai cannot be understated.